"As every good farmer knows, you can't expect new plants to sprout from old seeds. It takes the seeds of creative thinking, strategic thinking, and transformational thinking to cultivate the synergy that fosters new ideas." Vern Burkhardt (VB): You are the founder and chief strategist of The Innovation Group. What services do you provide and who are your typical clients? Elaine Dundon: The Innovation Group is focused on helping people, teams, and organizations build their capacity in innovation management through a wide array of services, primarily through our consulting and public speaking services. VB: You say, "My philosophy is that the best ideas are usually the simplest." "The more complicated you make the idea, the harder it is for others to understand its greatness." Do you follow this philosophy in your consulting practice and did you follow it in writing your book? Elaine Dundon: Our clients would say that we do, and our readers have also stated they like the easy to understand, simple approach to innovation that is provided in the book. VB: Do you recommend that our readers consider this philosophy in their business and personal lives? Elaine Dundon: Yes, it will make them more productive and innovative. VB: 'Why?" "What if?" "What else?" You say these simple questions "push individuals the farthest into new territory…." Is asking great questions a learned skill? How do we know when we have a great question? Elaine Dundon: Yes, asking questions is a learned skill. How do we know when we have a great question – that's a great question! Over 2000 years ago Socrates demonstrated that great insights come from asking great questions. A good leader needs to know what questions to ask. Creative thinkers begin with great questions, not with great answers. They ask lots of questions and are comfortable not immediately having answers. Asking great questions alone is not sufficient. You also have to listen, and absorb the answers. VB: You indicate that the concept of innovation has been so widely used and misused that many people are now confused as to what it really is. Would you talk about your definition that innovation is "the profitable implementation of strategic creativity?" Elaine Dundon: The main idea behind my definition is to help people see the difference between creativity and innovation. Creativity, the spark of a new idea, is only part of innovation. We need to evolve the creative idea into a strategic one, one that maximizes the idea's value to the organization or to society. We also need to make sure the idea is implemented. A creative or even a strategic idea that is just talked about but never implemented is not innovation. VB: What are the seeds of innovation? Elaine Dundon: There are nine seeds of innovation: three in the area of creative thinking, three in the area of strategic thinking, and three in the area of transformational thinking. Once a creative idea has been identified it must be developed into a strategic idea in order to bring value to the organization and the marketplace. Transformational thinking involves the human side of innovation, such as addressing resistance to change, building collaborative networks to support new ideas, sparking passion and courage, and taking action. The seeds of innovation are discussed in much greater detail in my book. VB: How can leaders cultivate the seeds of innovation? What role does each employee have? Elaine Dundon: There are many ways leaders can cultivate the seeds of innovation. First and foremost they need to model the skills and attitudes required for creative, strategic and transformational thinking before they ask this of others. Each employee has to present their creative ideas in a strategic manner so that the value of their ideas can be maximized. Each employee also has to foster the culture for encouraging and sharing innovation throughout the organization. VB: Are the seeds of innovation sprouting at an ever faster speed world-wide? Elaine Dundon: Yes. Most leaders are aware of the need to have every employee in every area of the organization looking for innovative ideas. It's hard work to get employees to admit what they are doing today won't work tomorrow and that the pace of change continues to accelerate. VB: What advice do you have for those who think that because innovation involves creativity you can't establish a process to manage innovation? Elaine Dundon: I would advise them to review my definition of innovation which includes strategy, implementation, and profitability, and reinforce the idea that creativity is only part of the whole process of innovation. Also there are tools and techniques to encourage and direct creativity so that an employee's creative efforts can be focused on solving a particular challenge. In that way their efforts are not random. VB: What are some of the misconceptions about the process of innovation? Elaine Dundon: The confusion between the definitions of creativity and innovation, which I spoke of earlier, and the notion that only a chosen few in any one organization are the "innovative" ones. VB: Do you recommend companies take a portfolio approach to the three types of innovation you identify in the "Innovation Value Continuum" – efficiency, evolutionary, and revolutionary – in order to ensure they are allocating their innovation resources wisely? Elaine Dundon: Yes. It is important that any one group or organization spread their efforts to encourage efficiency innovation – getting better at what you already do – as well as evolutionary and revolutionary innovation. VB: If we follow your nine-step innovation process are we almost guaranteed to achieve "revolutionary innovation?" Or should revolutionary innovation even be our goal? Elaine Dundon: No "guarantees" since the results of your efforts are dependent on so many factors. In the majority of cases, revolutionary innovation is not the goal, as many groups and organizations do not want to undertake the risk involved with revolutionary innovation. They prefer efficiency innovation and evolutionary innovation. VB: The second step in the innovation process is "clarifying the real problem." Is establishing the best possible "problem statement" key to successful innovation? Elaine Dundon: In my opinion, yes. In most situations, individuals and groups do not take the time to define the real problem, but instead, rush off to list innovation ideas which might or might not address the needs of the situation. VB: You describe the true creative thinker as someone who asks more questions than the average person and is comfortable not immediately having an answer. Is this a skill anyone can develop? Elaine Dundon: Yes. The key is to have a curious mind. One can develop the skills of observing, having an open mind, challenging sacred traditions, gaining a broader perspective, considering alternative ideas, and asking probing questions. VB: You identify three self-imposed barriers to creative thinking. Are there additional ones we should also try to overcome? Elaine Dundon: The answer to this question is situational – it depends on the person or people involved and the situation they are facing. VB: Is convincing ourselves that we can be creative the most important secret to enabling us to generate new ideas, approaches and connections? Elaine Dundon: I believe that there is an interaction between "Believing that you are creative," "Being curious," and "Discovering new connections." VB: You refer to "focused creativity." Isn't that almost an oxymoron? Elaine Dundon: In my opinion, no. I define creativity as "the spark of a new idea." I believe our creative skills, especially in business and government settings, are best utilized if they are focused on solving a particular problem or identifying a novel solution for a particular challenge. In focusing our creativity, we enable our minds to "play" within a specified area. VB: You advise that an "Innovation Group" is preferable to brainstorming for generating ideas. What is an Innovation Group? Elaine Dundon: An Innovation Group takes into consideration the limitations of the traditional brainstorming approach for generating ideas. The Innovation Group method is a more complete multi-step process. If it is to resolve a problem, which requires exploratory and concentration thinking, a series of group meetings will be needed over a period of time. This allows time for reflection and research after each meeting, and for consideration of ideas generated outside the group meetings. One of the key aspects of this method is focusing on problems whose resolution will have the greatest impact for the customers and the organization. It allows time to be spent exploring various aspects of the problem before selecting one specific problem to solve. A lot of stimuli is encouraged in the process, such as previously generated ideas, examples, samples, idea worksheets and results of previous meetings. And the group uses any or all of the Creative-Connections Powertools I identify in the book. VB: You describe the "Top Ten Creative-connections Powertools." Are one or two of them your personal favorites? Elaine Dundon: All ten are beneficial to me, depending on the situation or particular challenge I am facing. VB: "When the mind holds onto or sets fast one idea, it is no longer free to create. In effect, the creative mind shuts down." Would you talk about this? Elaine Dundon: This refers to the need to release preconceived ideas, either by writing them down or by sharing them, so that the mind is then free to create other associations. Often we fall in love with one of our ideas which blinds us to creating new linkages or connections which may result in another, better idea. VB: You indicate that our "sacred traditions" must be challenged because they prevent new ideas from emerging and therefore hinder the innovation process. Is clinging to our sacred cows all about fear of change? Elaine Dundon: It depends on the situation. In some instances, people may be convinced that their sacred cow ideas have been beneficial in the past and may continue to be so in the future. Sometimes change is needed and sometimes not. This needs to be discussed within the group, using honest and open dialogue to explore whether the tradition will or will not be beneficial in the future. The idea is to at least open a dialogue acknowledging that some of the "sacred" ways of doing things may no longer be optimal. Sacred cows may also be a manifestation of how, as human beings, we do some things out of habit. VB: You suggest organizations develop an innovation bank or an idea bank. Would you elaborate? Elaine Dundon: There are pros and cons of establishing innovation or idea banks. It is beneficial to make sure ideas that are working in one area of the organization are shared with other areas, or ideas that are being researched in one area are shared with others. On the other hand, just putting ideas into a digital innovation bank will not guarantee that the culture of an organization will automatically become more innovative. On average, the participation rate amongst employees in a digital innovation bank is only about 12% so other methods are needed to insure that innovative ideas are identified, discussed, resourced, and implemented. VB: Would you talk about "BIG-Picture strategic thinking" and its role in the innovation process? Elaine Dundon: Innovation is the process of taking creative ideas and ensuring that they support the strategic objectives of a project, group, or organization. In my book, The Seeds of Innovation, there are many techniques set out for determining if a creative idea can be turned into a strategic one. VB: One of the steps in the innovation process you describe is setting innovation goalposts in order to reduce wasted idea-generation effort. Is there also a potential pitfall in that such goalposts may restrict creativity and perpetuate sacred traditions? Elaine Dundon: Yes. There is a danger that there are no innovation goalposts or the goalposts are too wide and hence employees can not be sure what type of ideas will or will not be accepted. This wastes valuable time and resources. On the other hand, innovation goalposts can be too narrow – leaders can be so risk adverse that they don't let any new ideas through the resourcing process. This limits the innovation contribution of each employee and stagnates the growth of the organization. VB: In order to turn a creative idea into a strategic one, you propose six big-picture criteria. Do these criteria work equally well for each of the three types of innovation in the innovation value continuum? Elaine Dundon: It depends on the challenge – it's situational. A reader would have to review their particular situation and then look at the six big-picture criteria. As a general answer, I would say all six apply equally. VB: Often great ideas are not implemented in an organization even though someone or a group has generated the idea, and then the same breakthrough idea is implemented by a competitor. Can the innovation process you identify, including turning a creative idea into a strategic one, help avoid missing a breakthrough or tipping point innovation in a company? Will it provide a common language and mental model? Elaine Dundon: Yes, definitely to both your questions. VB: Is recognizing whether a trend is a fad, shift or leap an art form or can we hone our skills to analyze the significance of trends? After all, recognizing a trend early could be a competitive advantage if combined with following your recommended innovation process. Elaine Dundon: I believe our skills can be developed, the more we observe and learn from what is going on worldwide. I recommend we become more curious about trends outside our industries and countries, and learn from them, bringing the learning to our own projects as quickly as we can. VB: If we carefully study and learn from your book, are we likely to reduce the number of innovations we fail to implement – not that we are asking you for guarantees! Elaine Dundon: As you say, "No guarantees," but I do believe you can reduce the rate of failed innovations if you follow the advice provided in my book. VB: How can we reduce our risk of having "marketing myopia," to use Theodore Levitt's term? Elaine Dundon: As I stated before, I believe a key skill in innovative thinking is to be curious and learn from ideas outside our own markets. VB: Given the pace of change in the marketplace, if an organization pre-determines where it wants to be as its guide to selecting strategic ideas, is there a risk it may lose opportunities because of old established paradigms? Elaine Dundon: I understand your concern. Yes, there is some risk, if we establish our strategic directions ahead of time, that some creative ideas might fall outside these strategic directions and not be resourced. But this is the reality of business and government. We can only do so much with the resources we have. An organization can address this concern by having an Innovation Fund, within a business unit or for the whole organization, that is available to fund new ideas which fall outside the normal course of business. What is most important is that the strategic directions for the projects and organization as a whole are discussed and challenged by a wide number of people. This way established paradigms can be addressed upfront. VB: You detail nine strategies that successful companies have used to shift from the ordinary to the extraordinary. One of those strategies is creating magnetworks. Would you talk about the value of magnetworks? Elaine Dundon: The concept of the magnetwork – "magnet" and "network" – is that members of the network can innovate together for mutual benefit. The stronger the magnetwork, the more it attracts new members who also want to share in the potential for innovative success. Options are networking within an organization to maximize the sharing of knowledge and workflow or networking with other organizations to share infrastructure, or buying or selling power. They can also network R&D capabilities, create an organization of managed companies, or provide a meeting place for others. IdeaConnection is an innovative example of the benefits of magnetworks. Companies or other organizations that have business challenges or problems are networked with teams of problem solvers and a facilitator who are experts in their fields. VB: You observe that we should cast our net wide in order to bring in ideas from other departments in a large organization, from experts outside your organization, and from people unrelated to the problem. What has to be done to convince business leaders of the benefits to be derived from casting a wider net? Elaine Dundon: In today's competitive world all organizations must embrace the concept of "magnetworks," and operate in an open rather than a closed system. If a business leader does not embrace this concept, then I seriously doubt they are the right person for that role. VB: You say innovation is about flexibility and human interaction, and that the best innovation teams support diverse thinking styles. What suggestions do you have for ensuring any creative tensions that result from team members having different thinking styles are mobilized to develop innovative solutions? Elaine Dundon: It is imperative that a team identify and appreciate the different thinking styles of its members, first and foremost. You need to recognize that creative tension can be a catalyst for coming up with better ideas. This requires acceptance of the merits of conflicting or divergent viewpoints, rather than considering them a threat to the innovation team's work. Each member's differences should be nurtured. Diverse thinking styles can each contribute a different piece to the innovation puzzle. VB: Would you talk about "Innovation Ruts," and whether you believe they are more prevalent in organizations than commonly believed? Elaine Dundon: Many leaders talk about innovation but when you examine their products, services, and processes, you find they have lost their competitive edge. Their discussions are focused on the past and present, not the future. They are also focused on internal issues, not external opportunities. Organizations that are in an "Innovation Rut" also have a hard time acknowledging their weaknesses, challenging "the way it's done around here," and sharing new insights across departments. A great benefit of the Innovation Management movement has been the increased focus and dialogue on these issues, perhaps making it appear that these issues are more prevalent in organizations than commonly believed. VB: What is the relationship between passion, patience and perseverance, on the one hand, and innovation on the other? Elaine Dundon: Often we focus only on creative thinking techniques or strategic thinking techniques when discussing innovation. Often the "human side of innovation" is ignored. In The Seeds of Innovation, I present three transformational thinking seeds: Gaining Greater Awareness, Igniting Passion, and Taking Action. It's one thing to have a creative idea; it's another to take the time to develop it into a strategic idea. Innovation is not just about having ideas. It's about presenting ideas, convincing others they should stop how they are doing something and adopt a new approach. It's convincing them to stop spending their resources on what they are now, and start spending on something new. It's about convincing people to take the risk to change to something new – and hopefully better. All this takes skills, which can be learned, as well as passion and perseverance. It takes maturity to know that not everyone will embrace your new idea on the first presentation, the second, or even the third! VB: You suggest that instead of having separate "creativity centers" in offices, passion and innovation should be incorporated into the design throughout the building. Would you talk about this? Elaine Dundon: This depends on what the objectives are for the organization. Do the leaders want to develop an innovation culture across the organization? If so, the visual aspects of the organization should communicate the existence of such a culture. A "passionate physical environment" vibrates with energy. It'll attract highly qualified employees, generate excitement and pride, and likely encourage employees to openly share their innovative ideas. Often organizations that have established "creativity centers" – resource centers – find them difficult to maintain and employees do not use them for their intended purpose. A more comprehensive approach is to build the elements of passion and innovation into the design of the building, and its office space. Things to consider might be an inviting lobby, a hall of fame profiling the organization's top innovators, aesthetic offices, innovative names for conference rooms, space for "innovative expos" to display exciting projects, quiet spaces where employees can relax and recharge, and whiteboards in places where people meet – such as hallways, stairwells and lunch rooms. You might provide space for the display of information about your customers, or even products from competitors to stimulate discussions. Of course you would want an area where your organization's latest products and ideas are displayed in order to create pride and stimulate more innovative thinking. VB: You list 99 innovations in Appendix C of your book. You ask people to think about what might have been combined or connected to create each innovation. Will exercising the brain by combining and connecting ideas in this way help us become more creative and innovative? Elaine Dundon: Yes, practice, and increasing awareness of new ideas and new connections, is key to becoming more creative. VB: If organizations look at "innovation throughput" rather than "innovation output" to determine how well they are doing with their capacity for innovation, is it likely they will change their leadership approach to innovation activities? Elaine Dundon: Yes. This concept has to do with developing the culture for innovation – the throughput – in addition to just asking for innovative ideas and solutions – the output. It is difficult to expect innovative ideas to come from employees working in a non-innovative environment. VB: How did you use the innovation process when writing The Seeds of Innovation? Elaine Dundon: In order to understand the market for innovation management books, I analyzed what approach the current books took. I determined that the problem with most of these books is they approach the topic from an "academic" perspective, not a "practical," "how do I do it" perspective. I then set the goalposts for my book, identifying the approach I would take and the general topics – the 9 seeds – within the topic. From there, I went into the Imagination phase of the process, in which I gathered ideas, formulated insights, and identified which ideas would go under each of the 9 seeds. Once the book was mostly written, I approached two publishers, and both of them were interested. I got a commitment from The American Management Association – AMACOM Books in New York – to publish the book. Then I began formulating and implementing a marketing plan to gain maximum exposure for the book and my work. VB: How would you summarize the key message of The Seeds of Innovation? Elaine Dundon: The key message is innovation is a skill and mindset that can be learned, but like any seed, it needs to be nurtured over time. Innovation is not a magic process or just a creative idea that arrives in our mind – it is a discipline that can be learned. VB: Are you or Alex Pattakos, your husband, working on another book? Elaine Dundon: Yes, our new book titled Innovating with Meaning will launch in 2010. More details to follow! VB: Thank you for telling us about the seeds of innovation, and we'll look forward to the release of your next book. To resist the natural tendency to return to the old and comfortable way of doing things. She says innovative organizations have characteristics in common. The Seeds of Innovation contains much more in the way of practical information about the why and the how of innovation management. Elaine Dundon, MBA, is the founder and chief strategist of The Innovation Group Consulting Inc., an international training firm dedicated to elevating the innovative thinking potential of individuals, teams, and organizations. A thought leader in the field of Innovation Management, she is highly regarded as an energetic speaker, trainer, consultant. Dundon's background includes extensive experience in business planning, marketing strategy development, and innovative thinking. 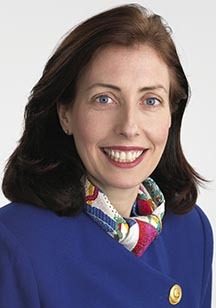 She has held line management positions with Procter & Gamble, Kraft, and Nestlé. She also designed and taught a "first of its kind" course on Innovation Management in the Faculty of Management at the University of Toronto. Elaine Dundon is the author of The Seeds of Innovation (2002), which has been translated into Chinese and Russian and featured in countries around the world including Australia, Singapore, Norway, Canada, and the United States. She is also co-author with Alex Pattakos of assessment tools: Seeds of Innovation®: Team and Organization Assessment (2003) and Seeds of Innovation® Core Competency Profile, Self-Assessment for Individuals (2003).